What do you do when you desperately need a change of scenery yet can only take 1 or 2 days off from work? Have a staycation! To be honest, this is the first time I have a real staycation experience. For me, a real staycation is the one where I do not leave the hotel compound at all during my stay. Wouldn’t it be boring to spend all your time at the resort? Not really! 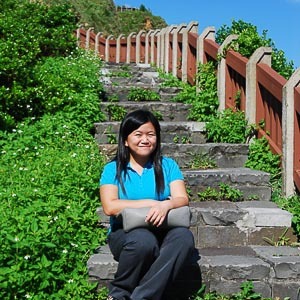 I will share about how we spent time in D’Resort @ Downtown East during our 2-night stay. Firstly, because it’s located in the far east of Singapore, it gives the feeling that we’re vacationing outside of Singapore. 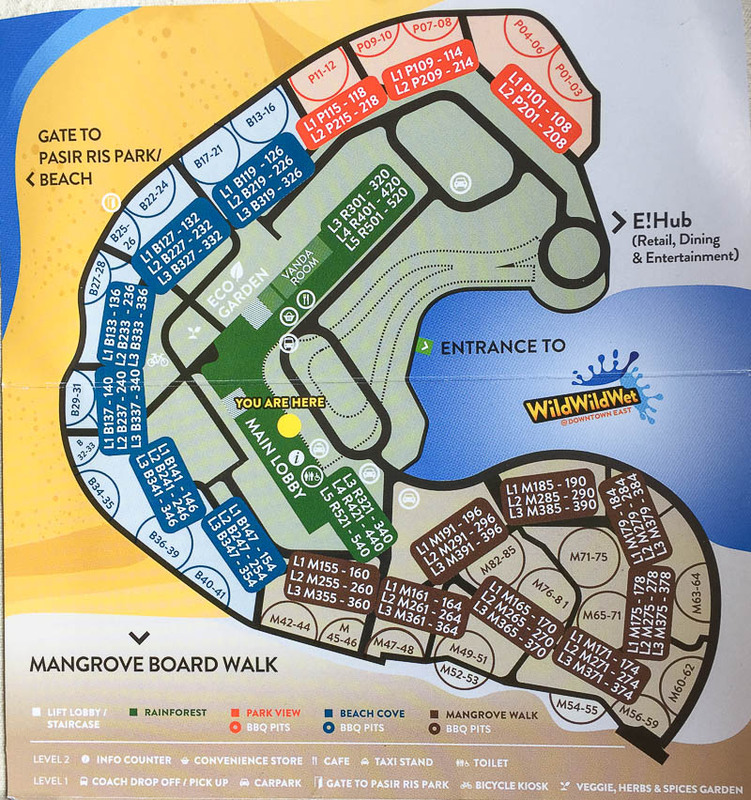 Secondly, there’s a water park called Wild Wild Wet nearby, and resort guests get discounted rates for the park. 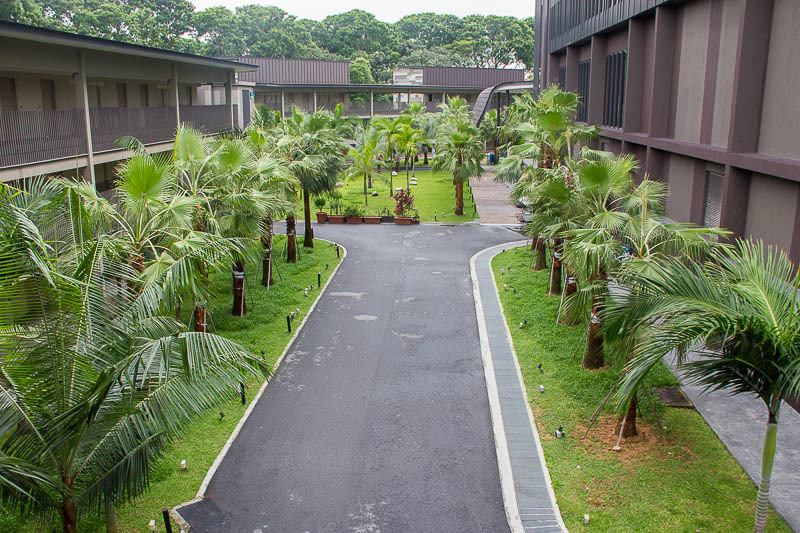 Thirdly, there are food courts, cinema, supermarket and restaurants within the resort compound; guests are definitely pampered. 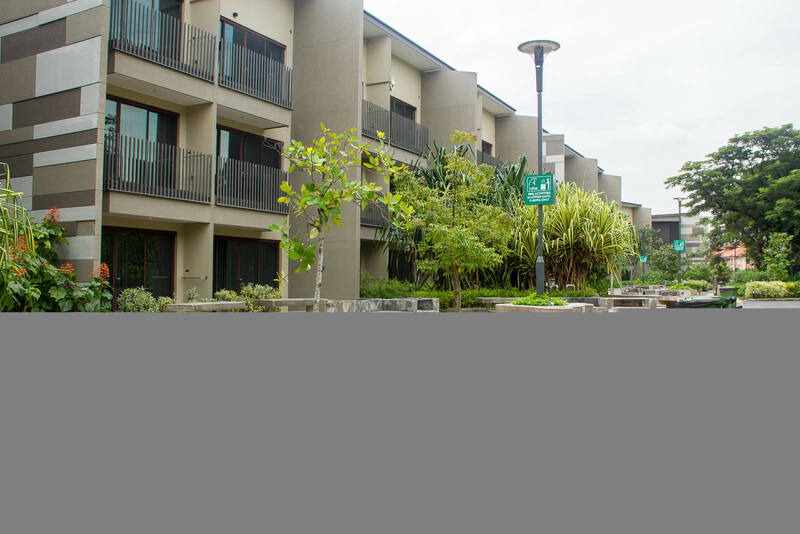 Lastly, as D’Resort is one of the resorts with BBQ pit in Singapore (aka chalet), it’s a great place to celebrate birthdays or simply to just get together with friends and families. In Singapore, a chalet usually refers to a villa or resort with BBQ pits. 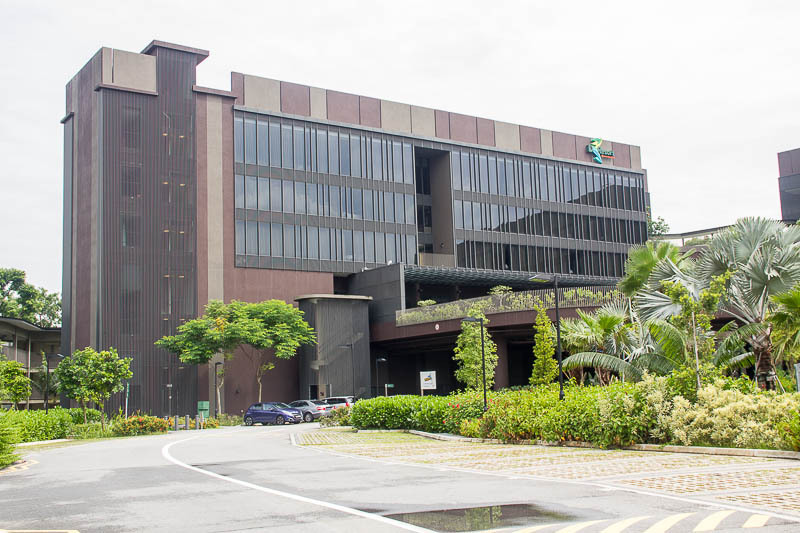 In the past, the resort was more known as Costa Sands Resort Downtown East (Pasir Ris). However, a few years ago, the resort underwent a major renovation. The new resort is now called D’Resort. 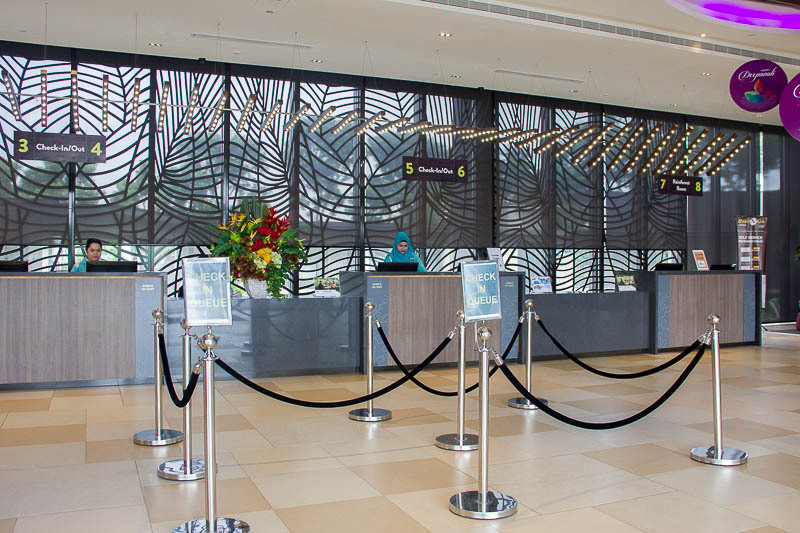 D’Resort has a sister property called Costa Sands Resort Sentosa; I’m tempted to have a staycation there in the future. Here’s a simple explanation: Downtown East is a hub that consists of multiple destinations, including D’Resort, Wild Wild Wet, E!Hub, E!Avenue and MUCE. To get to Downtown East, you can take MRT to Pasir Ris, then walk or take bus 3, 5, 6, 12, 17, 21, 89, 354, 358 for 1 stop only. Alight at Downtown East bus stop. As I’ve mentioned earlier, D’Resort is a chalet-type of resort and Wild Wild Wet is a water theme park. Meanwhile, E!Hub and E!Avenue are simply shopping malls with restaurants, cafés, food court, cinema, supermarket and various entertainments. Which Rooms to Choose? And How Much Do They Cost? With 9 types of room to choose in D’Resort, it’s possible that there’s a room for everyone. I have made a comparison table to let you review which room is more suitable for you. 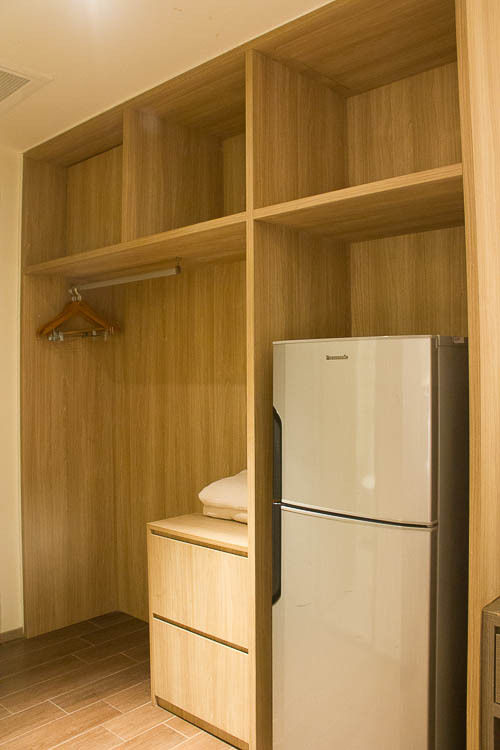 All rooms come with free wifi, TV, hairdryer and fridge. 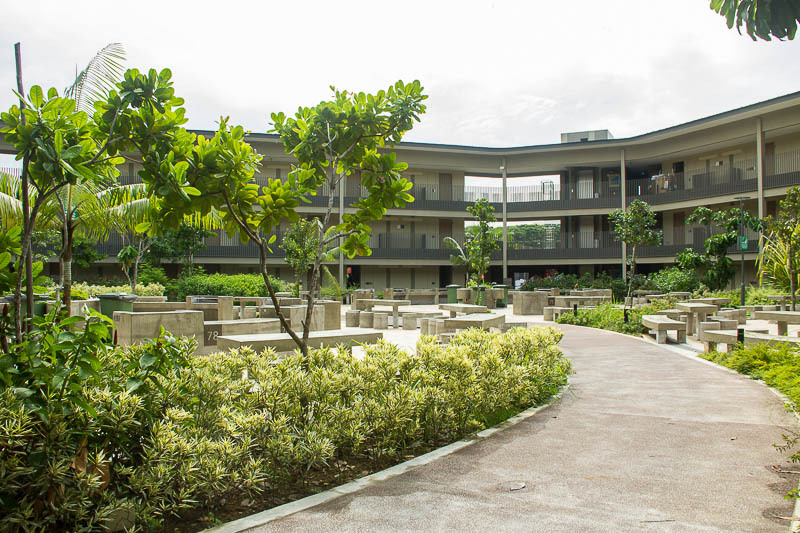 Basically, if your main focus is BBQ, you should choose Park View, Mangrove Walk, Beach Cove or Beach Cove Duplex. BBQ pits are available at additional charge of SGD 35/pit. 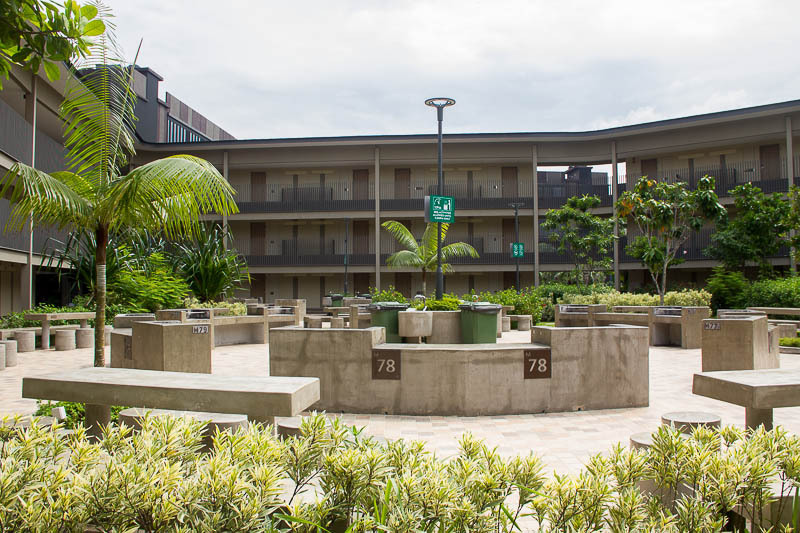 Booking of the BBQ pit is on a first-come-first-served basis and limited to 1 pit per room per night stay. All Rainforest Rooms don’t have BBQ pit booking options. 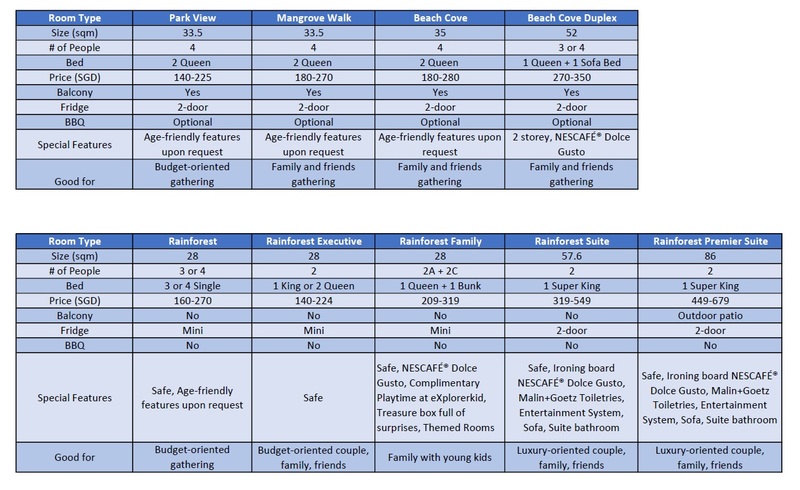 If you have a group of 3 or 4 people, you should choose Park View, Mangrove Walk, Beach Cove, Beach Cove Duple or Rainforest. If you have young kids, Rainforest Family is your best bet. Lovers of finer things can opt for Rainforest Suite or Rainforest Premier Suite as they come in bigger size and more facilities. 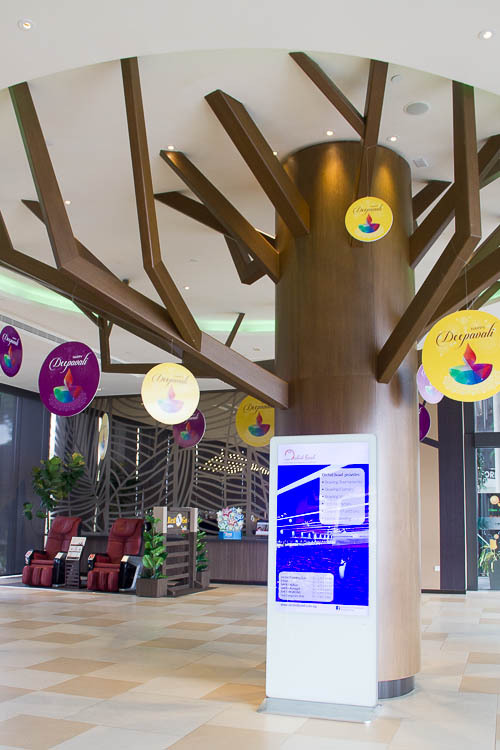 NTUC members and SAFRA members can enjoy plenty of privileges. We booked a Mangrove Walk Room for 2 nights on a weekday. Prices during weekdays are significantly lower than weekends. Check in time starts from 3pm. 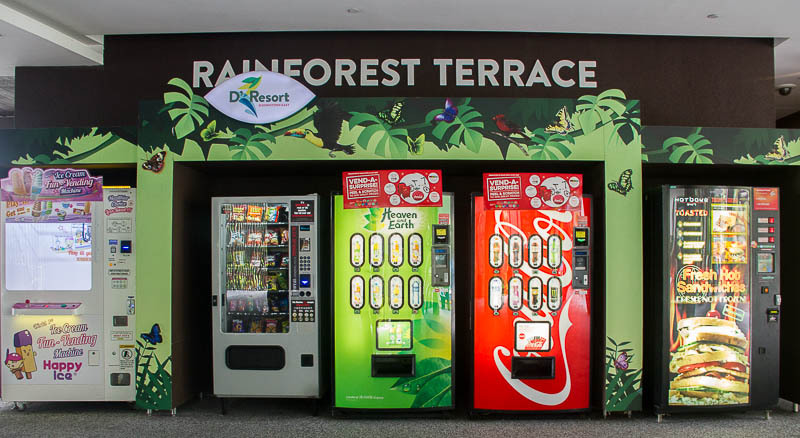 The lobby is a little hard to find, it’s located at the 2nd storey of the Rainforest Block. I suggest you study the Downtown East map to familiarise yourself with the site layout. The check-in process is pretty straightforward. 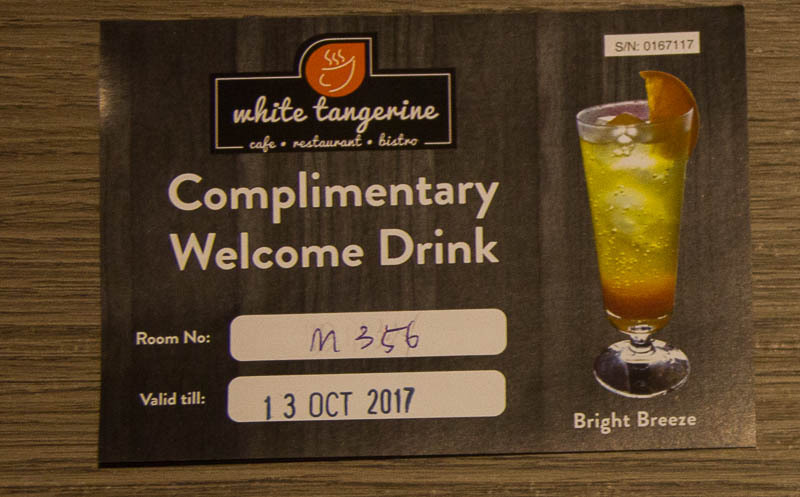 We were given room keys, wifi password and welcome drink vouchers. There’s also a free lemon water station and paid massage chairs in the lobby. Free trolley and buggy services can be requested. 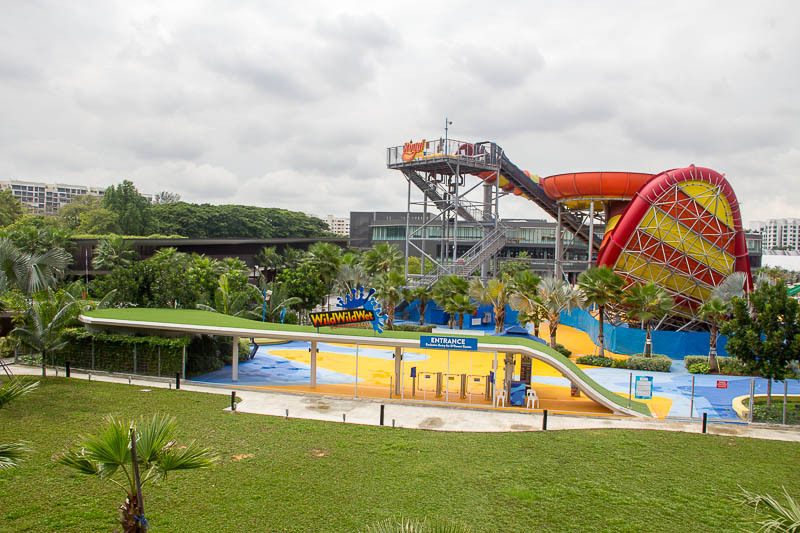 If you are a member of NTUC, you’ll get complimentary tickets to Wild Wild Wet, discounted BBQ pit rates and car park rates. There’s no free breakfast for Mangrove Walk room, but it doesn’t matter because there are many food options in Downtown East. The cheapest breakfast option would be the breakfast set at FoodFare, located at E!Avenue. 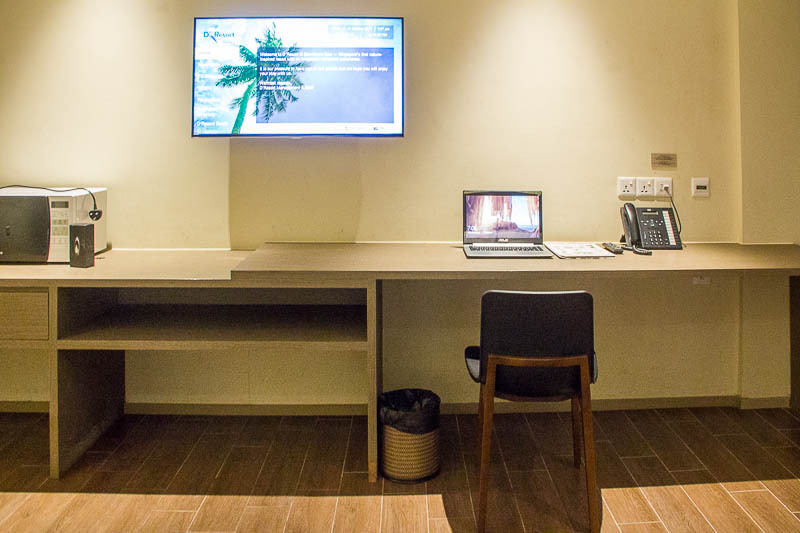 As we walked into the room, I was immediately wowed by the spacious work desk. I mean, look at the photo below. I almost decided that I want to spend our entire stay INSIDE the room, do my work and forgo spending time at Wild Wild Wet. It felt so nice to have a beautiful working space. Now I’m determined to have a beautiful workspace in my future home! 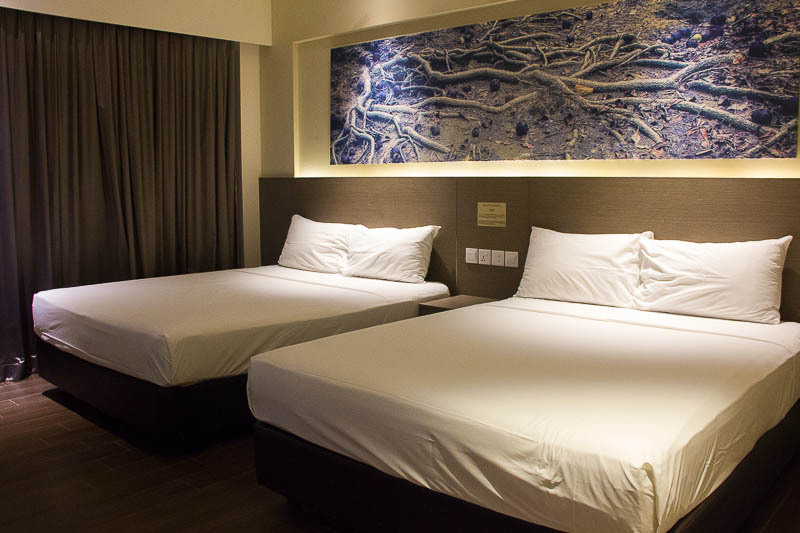 A Mangrove Walk room comes with 2 queen-sized beds! There’s only two of us, so one bed for each night is a great idea, right? 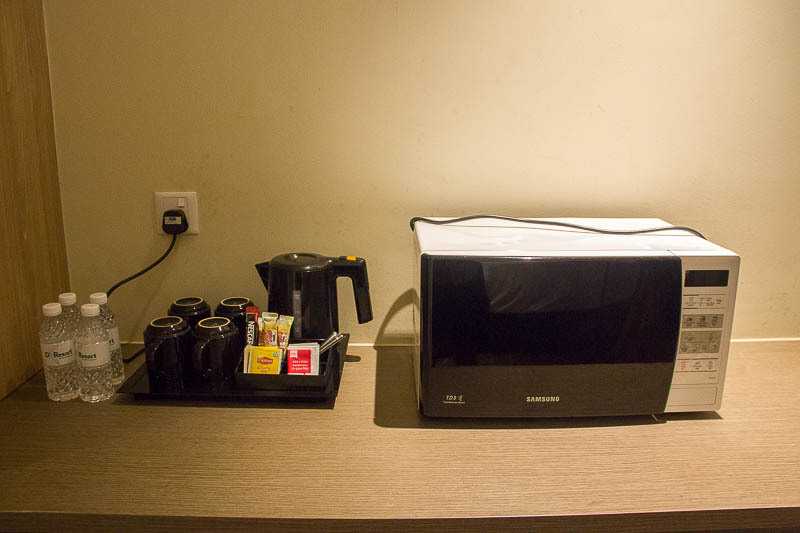 Above the bedside table are the lighting switches, power socket as well as USB socket! How convenient! Talk about lights, the room’s lightings are kind of dim, which I’m not so fond of. Two huge queen-sized beds with power sockets beside the beds! Then, there’s a balcony with grills and a railing to hang wet clothes. 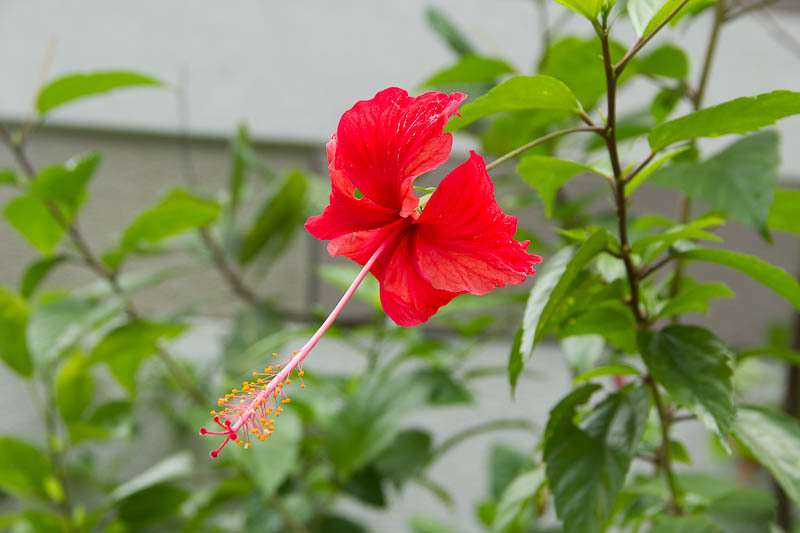 Whenever the door of the balcony is open, the air-conditioner is turned off automatically to save energy. 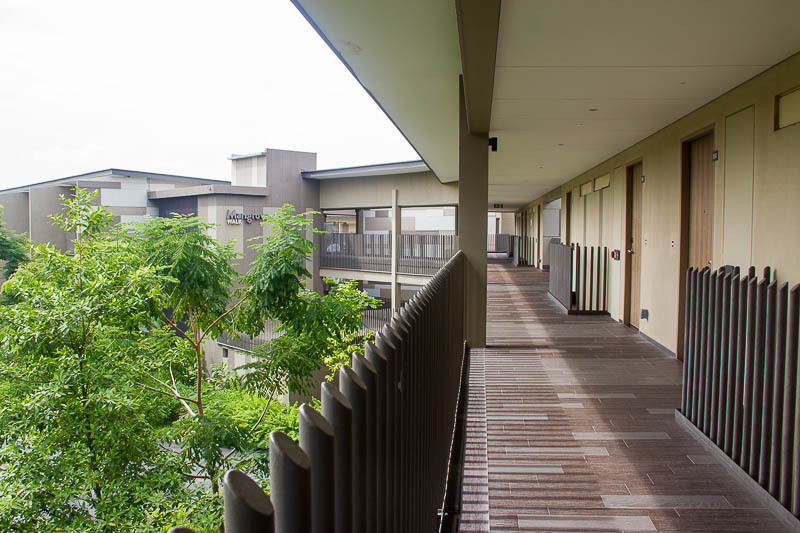 As our room is located on the third floor, we have a better view from our balcony compared to people on the ground floor! Below the balcony are the BBQ pits. Fortunately, there was no BBQ activity right below our balcony when we stayed there, so there wasn’t any noise that could disturb our beauty sleep. Next, let’s go to the bathroom. 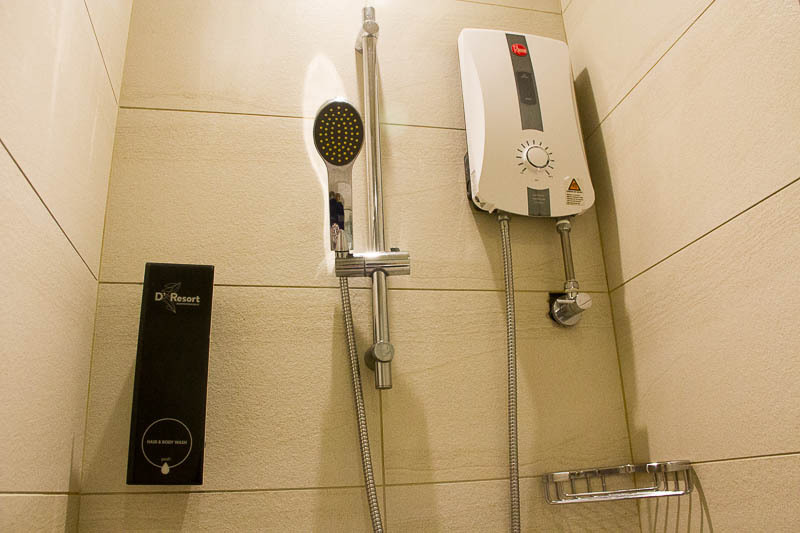 Inside the shower glass cubicle, there’s a handheld showerhead connected to a water heater machine, a tank filled with soap as well as a small rack. 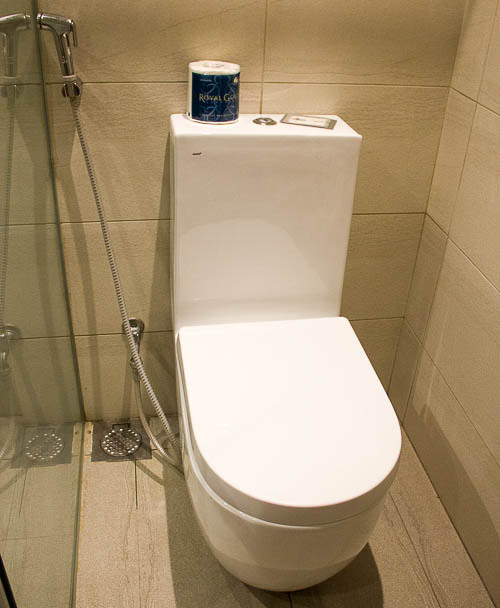 The toilet bowl is a pretty standard western toilet with a bidet. 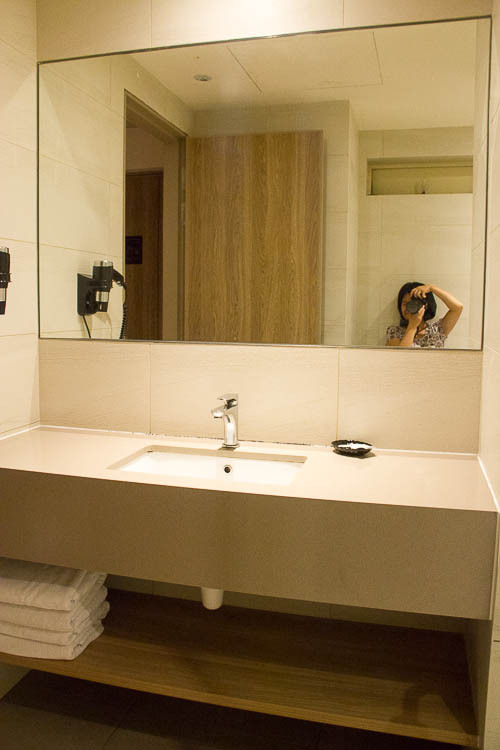 At the sink area, you can find a huge mirror, a hair dryer and hand soaps. Body towels and floor mats are provided. The downside of the bathroom is that there’s no toothbrush and toothpaste! One of the best things about D’Resort is that everywhere we go, we see greeneries. 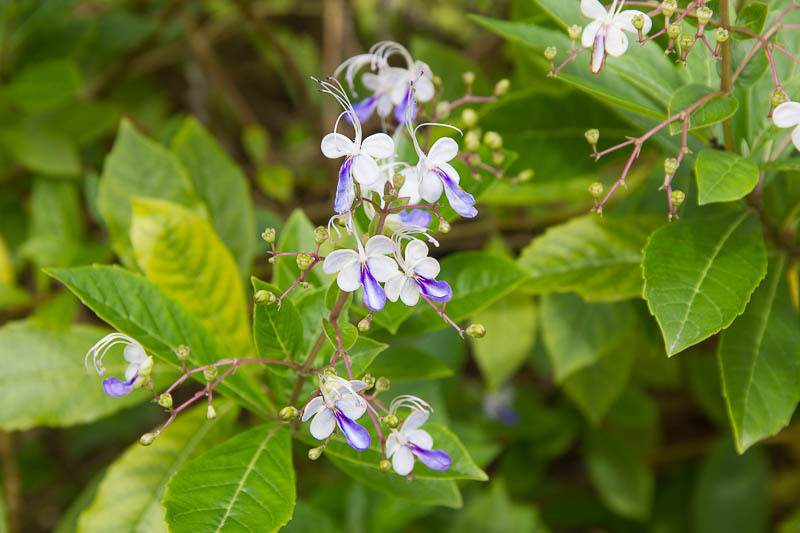 When we open our curtain, when we wander around the resort, we see nicely planted trees, shrubs, plants and flowers. It’s obvious that they’re all well-maintained. It’s really refreshing for our tired eyes! 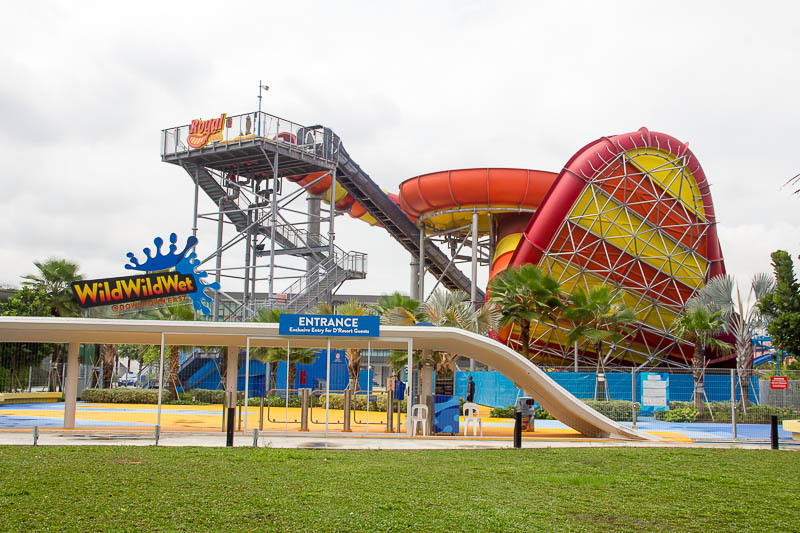 Right beside the main lobby building is the special entrance to Wild Wild Wet. Why special? Because it’s the entrance dedicated to D’Resort’s guests. We spent an afternoon at Wild Wild Wet and we had a great time there. I’ll write about the water theme park in a separate post. Since it’s so convenient for us to enter and exit Wild Wild Wet, we didn’t even bother to bring any shower equipment, we simply brought our towels! 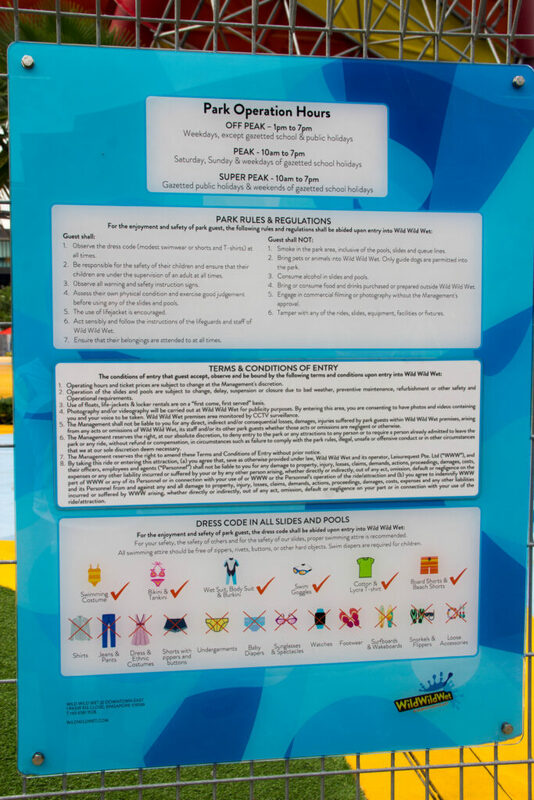 PS: The theme park is only open from 1pm-7pm on weekdays, so if you visit the park on the day you check out, you’ll need to store your luggage with the receptionist and you need to shower at the park itself. 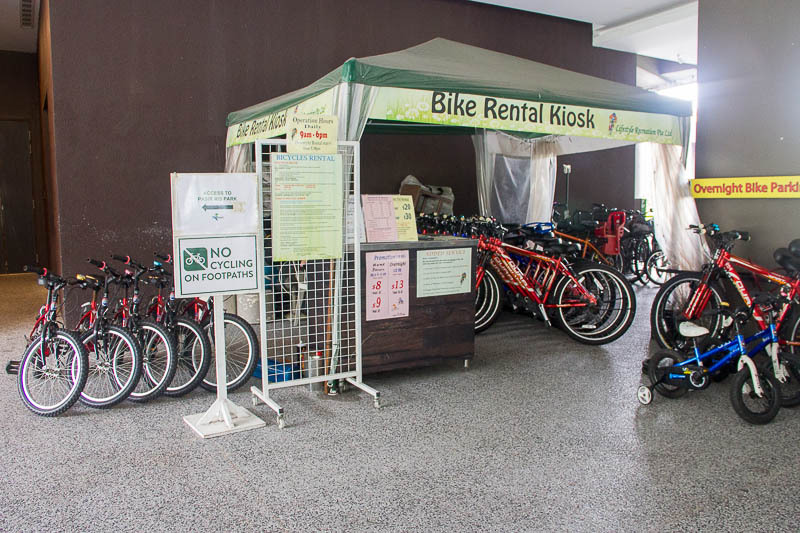 There’s a bicycle rental stall located at Level 1 of the main lobby building. 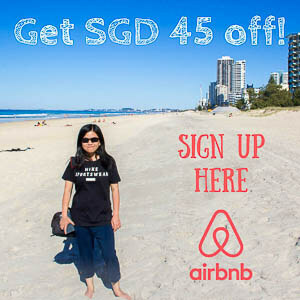 The rental prices vary from SGD 5 to SGD 12 per hour, excluding helmet and basket rental. You can get special price if you rent overnight. You can return the bikes at other locations, see photo below. If you drive, there’s a carpark at D’Resort. However, it’s not free. Most guests have to pay the parking fees based on the parking rates. D’Resort has a restaurant called White Tangerine. It’s located just nearby the lobby. We went there to redeem our welcome drinks. We didn’t dine there as we prefer to explore food options in Downtown East. Since we only wanted to redeem the welcome drinks without dining there, we were assigned tall chairs by the bar instead of the comfy sofa inside the bistro. By the way, our welcome drinks looked different from the voucher, lol! See White Tangerine Cafe menu here. 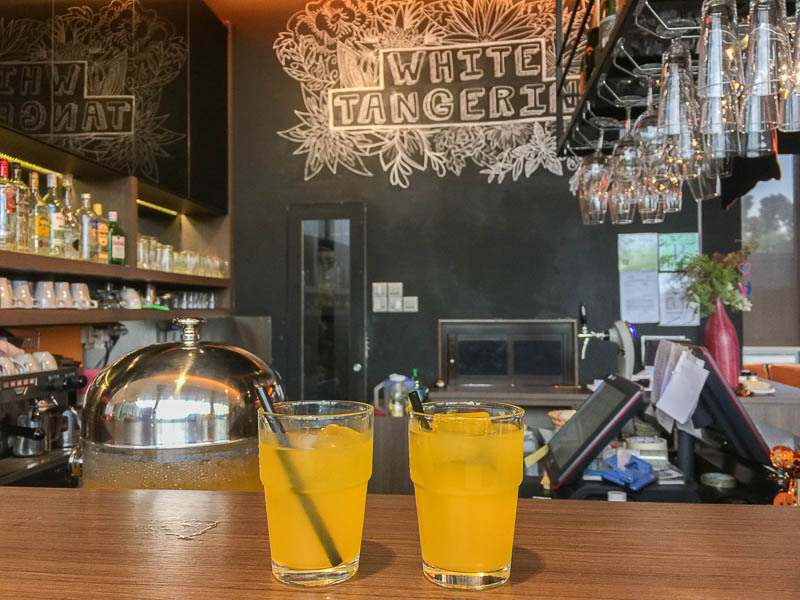 The 24-hour convenient shop, Cheers, is located nearby White Tangerine and lobby. It’s the place for you to get urgent items conveniently. If you don’t mind walking further to buy stuff at slightly cheaper prices, you can walk for about 10-15mins to Fairprice supermarket (opening hours: 9am-10pm on weekdays and 8am-9pm on weekends), which is located at E!Hub. If it rains when you’re at other parts of Downtown East and you don’t bring an umbrella, don’t panic about not being able to return to your room safely. The E!Hub, E!Avenue, Wild Wild Wet and D’Resort are well connected (not on the ground level, but at upper levels). 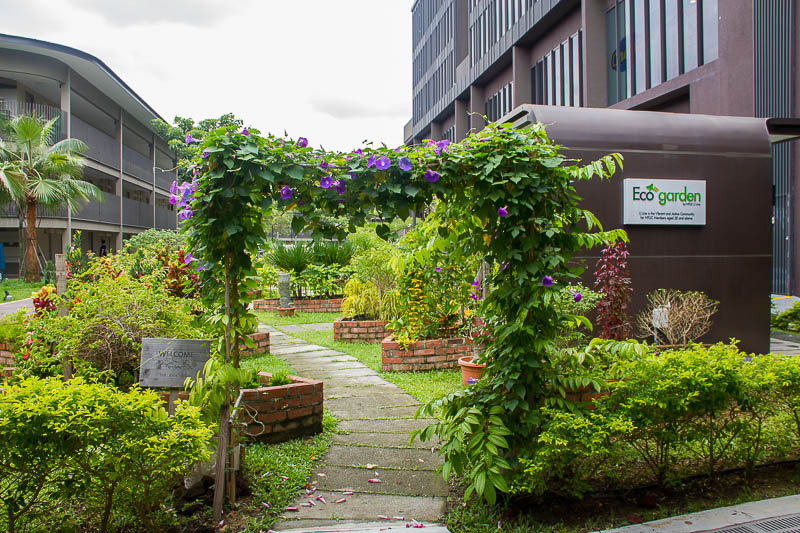 D’Resort offers plenty of paid activities, such as Urban Farming Workshops, Kayaking to Singapore’s First Floating Halal Kelong Restaurant and Art Jamming, all of which require advance booking. For a family with young kids, there’s an indoor playground called eXplorerkid. We didn’t join any of their activities because we just wanted to chillax at the resort. Personally, I feel that D’Resort is a great place to celebrate birthdays. For low-budget celebration, you can organise a simple BBQ gathering with your friends and family at the BBQ pit. For medium to high budget celebration, you can order a catering from White Tangerine to be set up at BBQ pit, or book a Private Function room that comes with buffet and sound system. 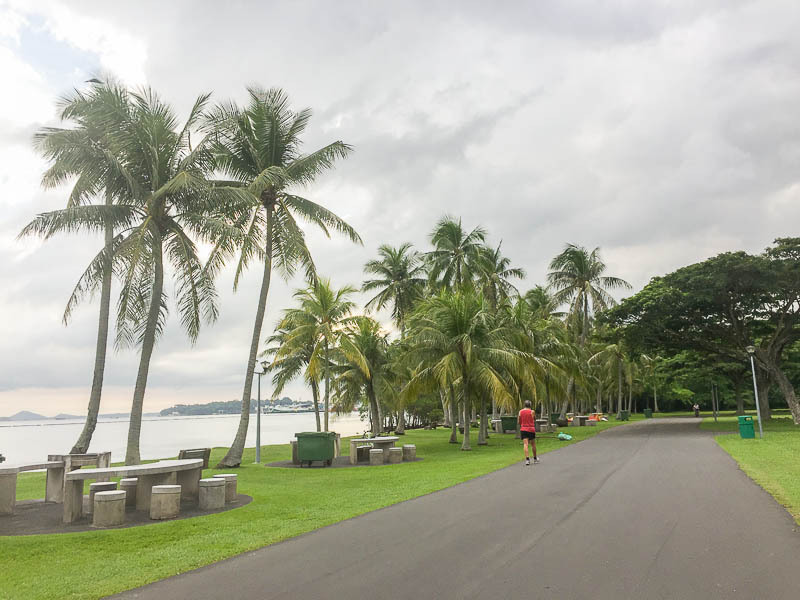 As someone who loves running, I was utterly excited that Pasir Ris Park is just beside D’Resort. There’s even a special gate for D’Resort guest to exit to Pasir Ris Park. 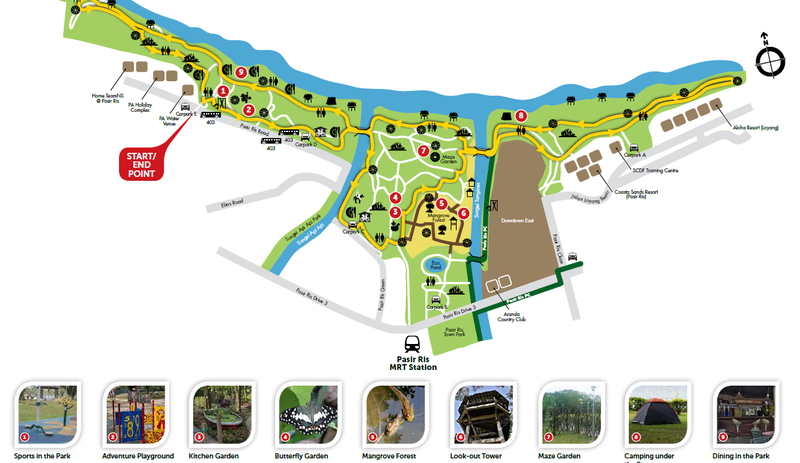 If you are an avid runner, consider running the 10km route suggested by NParks (see map below). I guess the highlights of the park are the Mangrove Boardwalk and Look-Out Tower. It is said that you can see fireflies at Mangrove Boardwalk at night! Too bad, we didn’t know about this when we stayed there so we missed this out, ugh! 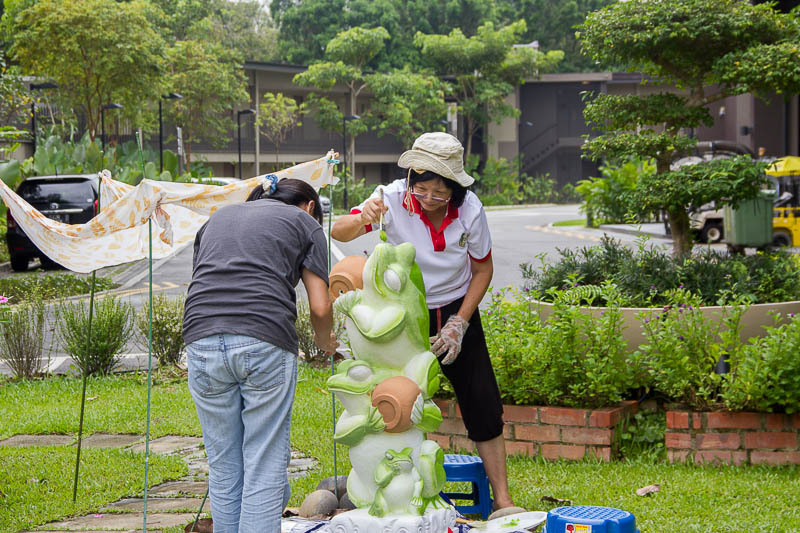 Well, now I have reasons to go back to Pasir Ris Park! Pasir Ris Park map (click to enlarge)If you’re not the type of people who like to hide inside a resort, other than exploring Pasir Ris Park, try fishing at Pasir Ris Town Park, walk along Tampines River, shop and dine at White Sands shopping mall, cycle or run to Tampines Eco Green, cycle to Changi Village, or take a boat from Changi Village to Pulau Ubin! During our stay, Pasir Ris Central Hawker Centre hasn’t opened yet. The new food court, which is within walking distance from Downtown East, will be a hipster food court developed by NTUC. 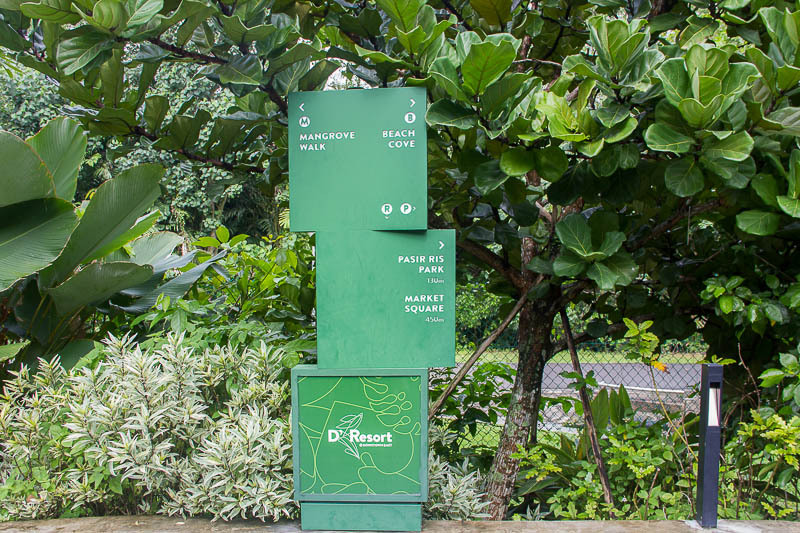 In my opinion, D’Resort is a great option for people who have had enough of downtown Singapore and want to escape the hustle and bustle of the city. It’s the place for nature lovers. 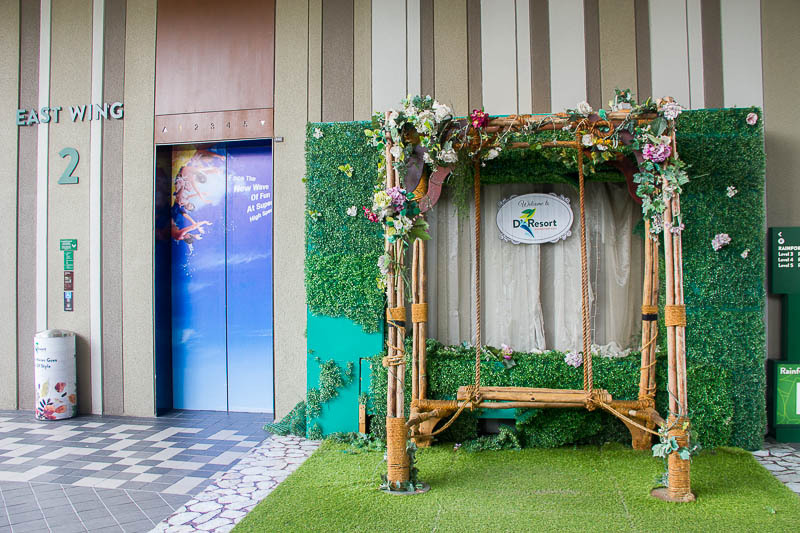 It’s also a great gathering place for residents to celebrate special moments, such as birthday, company gathering, farewell party, bridal shower or baby shower. I don’t think it’s a good option for first-time visitors to Singapore because first-timers usually want to see Singapore’s main attractions which are all located in the downtown area. It’s also not a great destination for shopping addicts. Would I recommend D’Resort? Yes. Would I return again? Yes. In case you’re wondering, I paid from my own pocket for this staycation at D’Resort. I always do my best to write objective reviews on my blog.